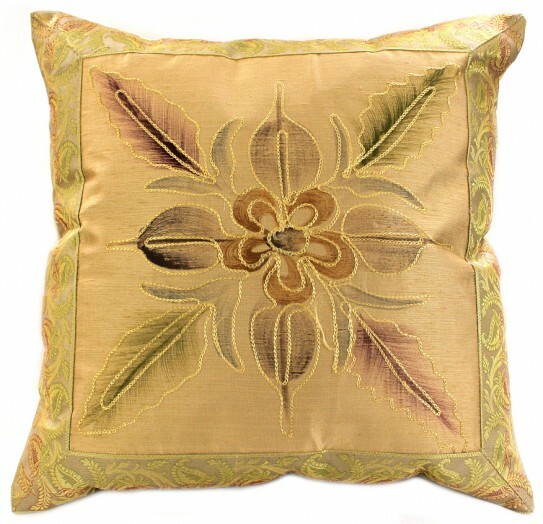 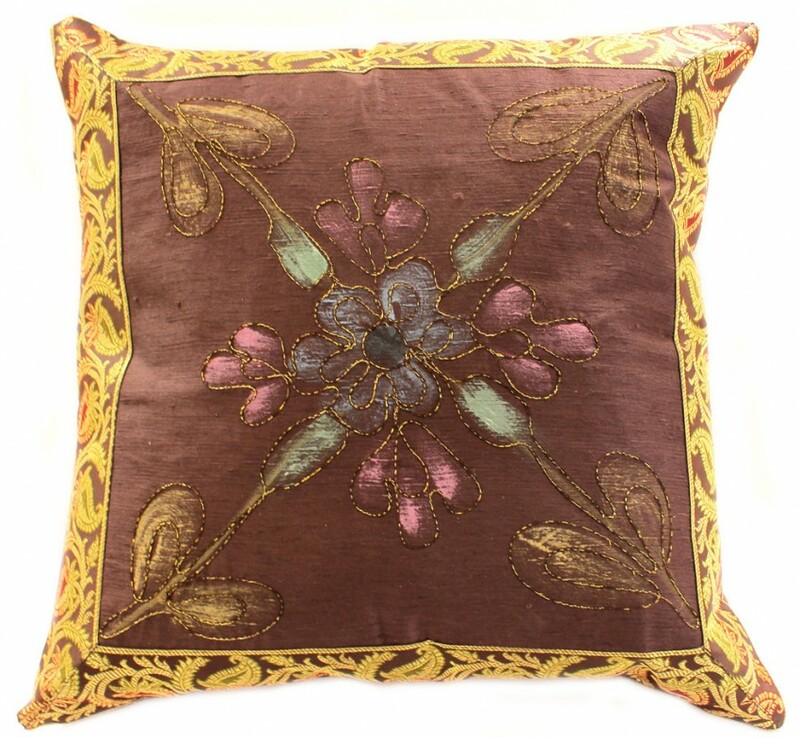 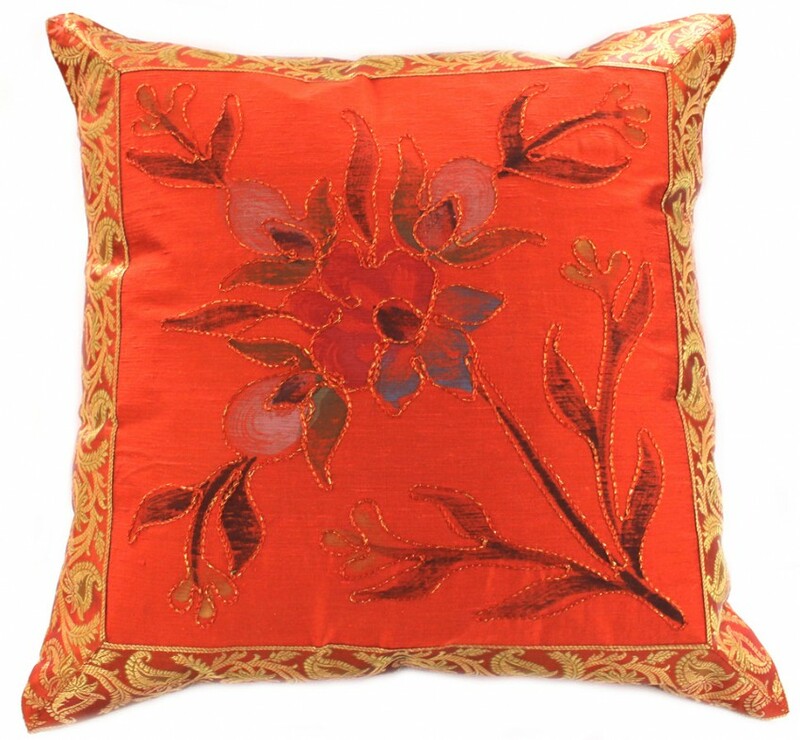 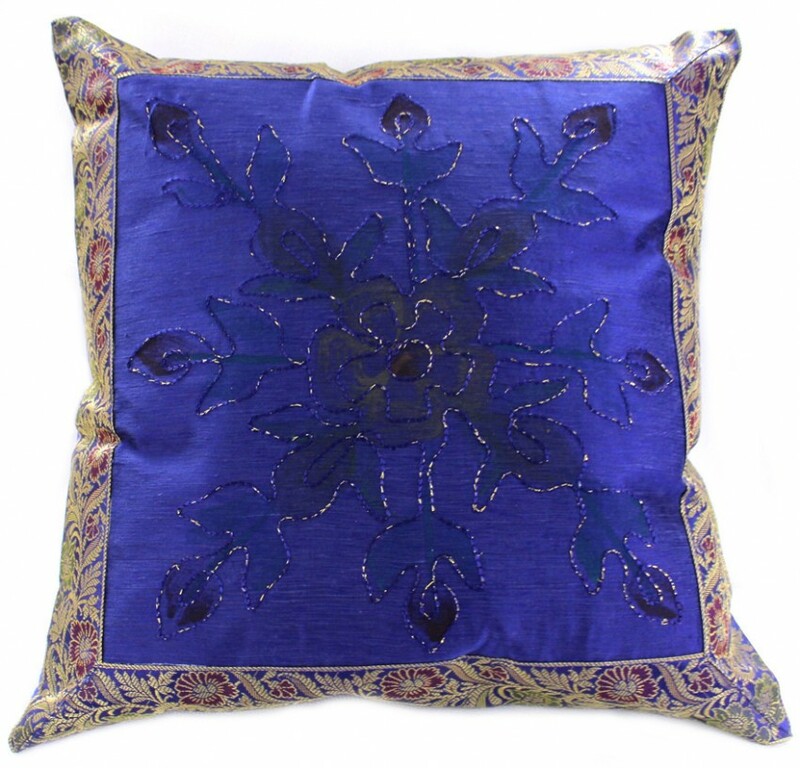 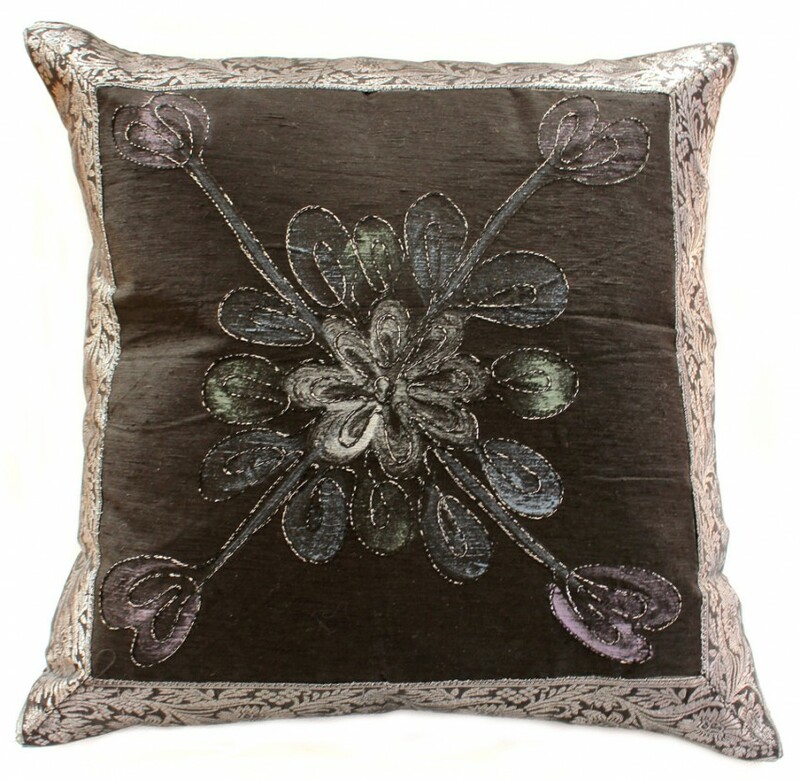 Our unique and vibrant accent pillow cover features a hand painted floral design and is crafted with shimmering dupion satin fabric. 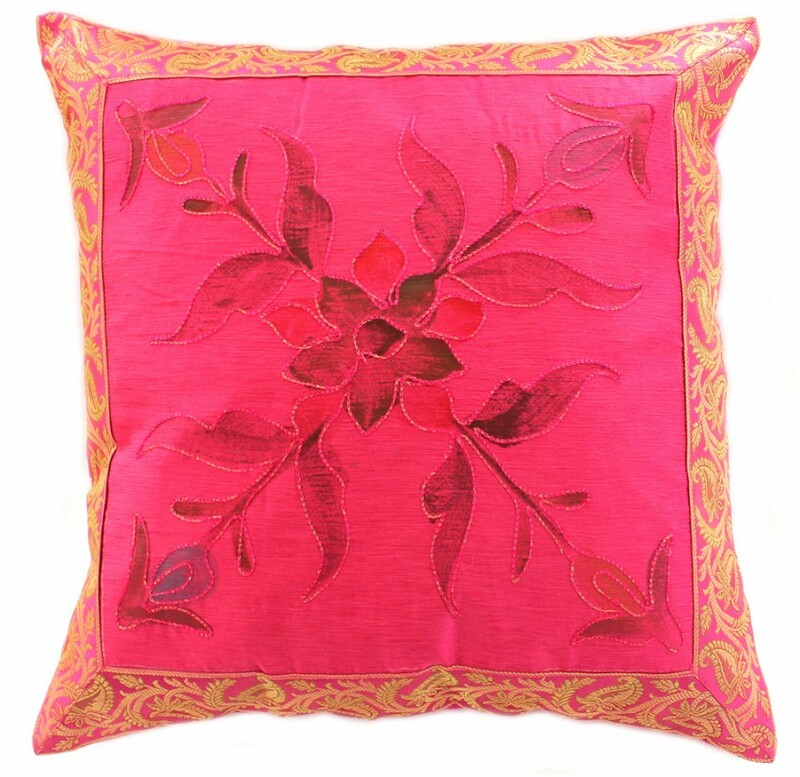 Bring artistic elegance and beauty to any room with hand painted floral pillow covers from the exclusive Banarsi Designs Collection. 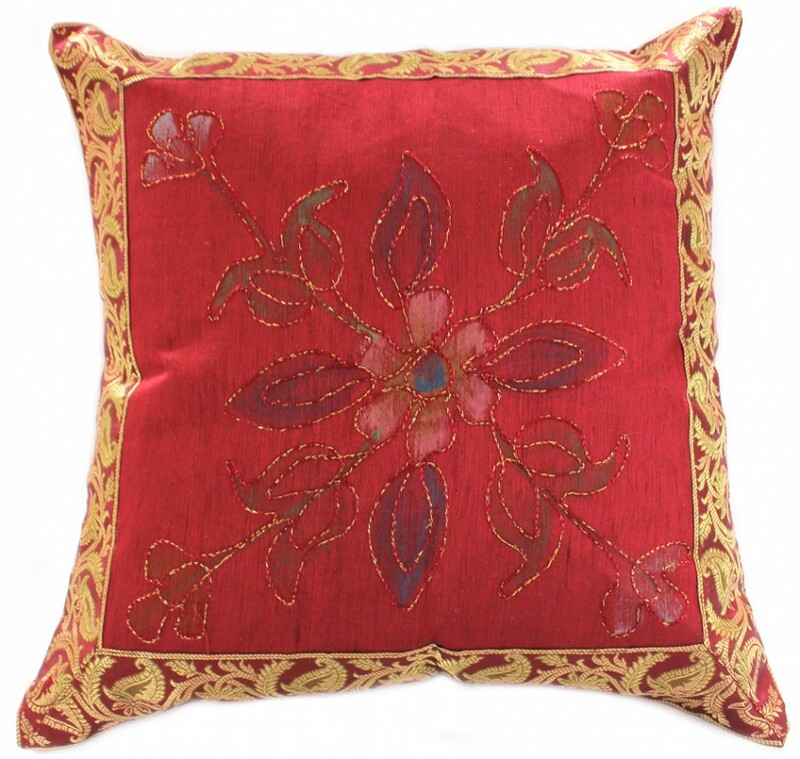 These beautiful throw pillow covers have been crafted in India with hand painted floral strokes and feature a vibrant Banarasi Saree border. 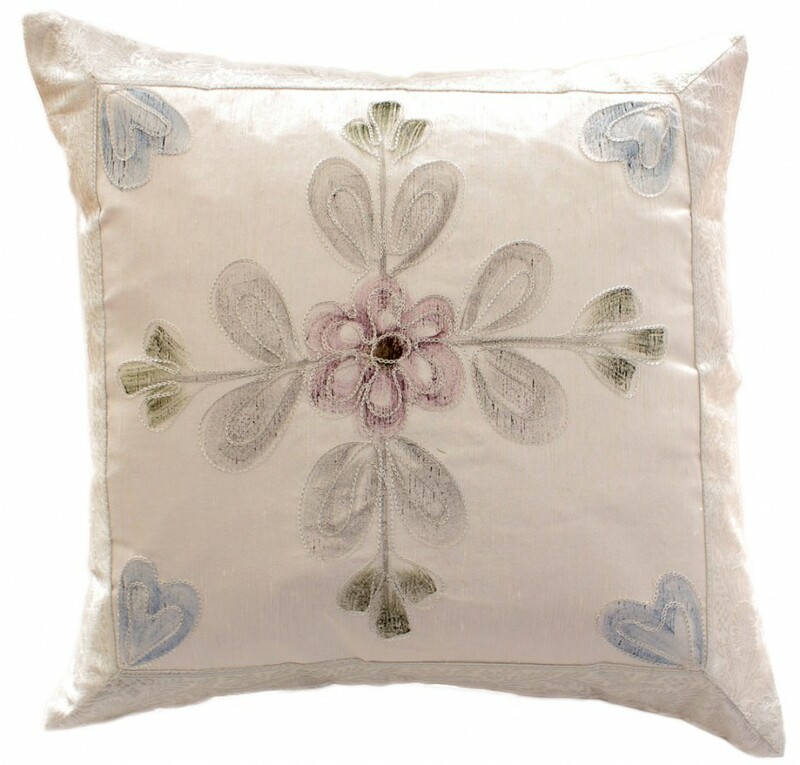 Note: Since this product is hand painted, the design may slightly vary from the picture.